​Tired of Lyme has always been, and will remain, 100% committed with its viewers in being completely transparent with the resources it uses for compensation. ​Why advertise and use affiliate links? ​Throughout Tired of Lyme, you’ll find ads and affiliate links that Tired of Lyme receives a small commission from. Using ads and affiliate links greatly helps to offset the cost of many financial obligations which most obviously includes the cost to run and maintain tiredoflyme.com. ​Being a valuable resource to the Lyme community, and any individual struggling with chronic Lyme, has become a huge passion of mine. I use Tired of Lyme as that outlet, and in order to continue doing so, I have to offset my financial obligations, which includes the cost of my own personal treatment of chronic Lyme disease. ​Tired of Lyme does not personally endorse or support any products or services from ads found on the site unless noted. While Tired of Lyme does filter ads to an extent, it makes no guarantees that a product or service will work the way it's intended to. It is up to you the reader to research any potential products or services you intend to use. ​I do occasionally recommend a product or service through a blog post or article that I’ve personally used and benefited from, and feel that others could too. 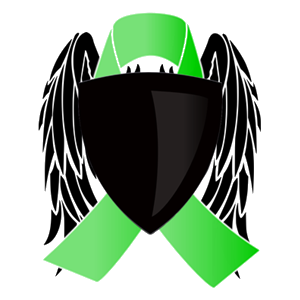 If you have any questions or concerns, or would like my personal insight and experience, about any products or services you find on Tired of Lyme, please feel free to send me a message! ​Consult with your treating physician before altering any treatment protocol. Even though I’ve learned so much throughout my plight with chronic Lyme, I’m not a doctor, nor do I know everything encompassing chronic Lyme, and because of such, I always check with my doctor before I add or remove anything from my treatment protocol.